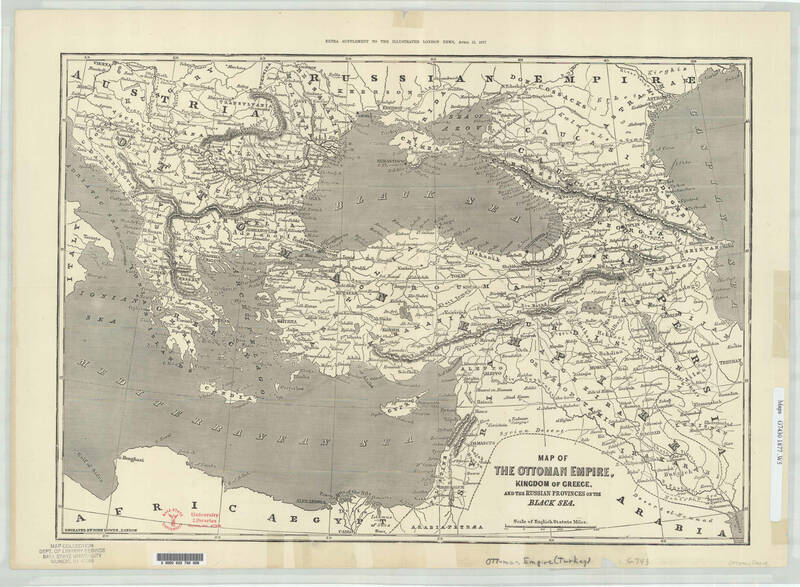 John Dower, Map of the Ottoman Empire, Kingdom of Greece and the Russian Provinces of the Black Sea, ca. 1:5,900,000, in The Extra Supplement to the Illustrated London News, August 12, 1854. Reprinted in The Extra Supplement to the Illustrated London News, April 21, 1877. Size of the original: 36 × 52 cm. Copyright 2013, Ball State University. All rights reserved (G7430 1877.W5).